Now she is in the third and final part of her life, as she calls it, Tracey Emin’s thoughts are turning to her legacy, she tells The Art Newspaper podcast. The British artist says she is planning to establish a foundation and turn the studio she is currently developing in the seaside town of Margate into a museum when she dies. Emin says the museum, which will house her works, will be a “great legacy” for the town where she grew up. “I haven’t bought the studio to avoid tax and do the foundation thing now. I’ll do it when I’m dead,” she says. So does she keep a collection of her own work? “I keep things from a sentimental point of view, but I need to get my act together and start keeping some of the big boys back, otherwise there will be nothing for the museum,” she says. “I am not going to be one of those artists who when I’m 70 or 80 I’m buying all my work back to try and fill my museum up. I’ve got to actually make work and save it for that,” she says, noting that she did once buy a work back to retrieve a cardigan that her neighbour gave her when she was eight years old. For now, the 30,000 sq. ft space, housed in the old Thanet Press site, will include a sculpture studio big enough for Emin’s monumental bronzes, and a painting studio, as well as living accommodation and a winter garden. The dealer Carl Freedman, a former boyfriend of Emin’s, is opening a gallery next door. “The studio is big enough for a museum and I’m synonymous with Margate, so that’s a nice thing to look forward to. 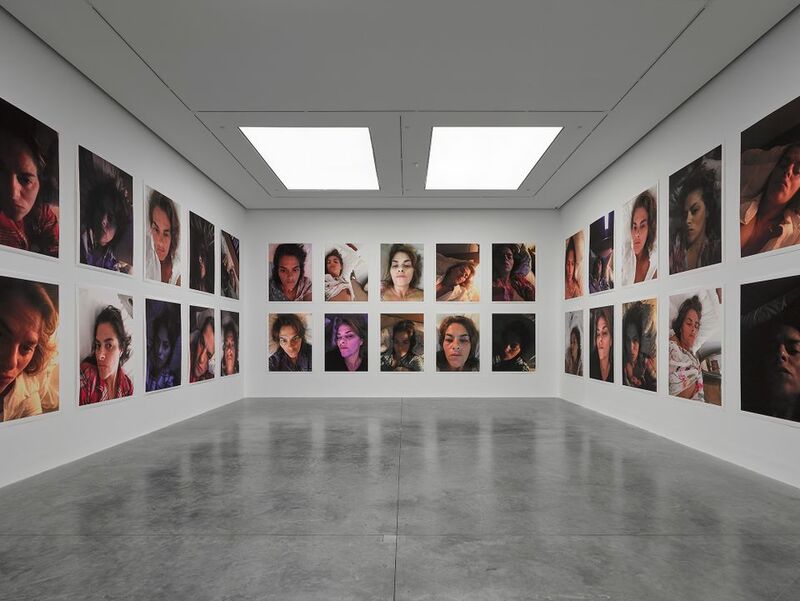 Alright, I might be dead but I might be able to come back and rearrange a few things every now and then,” Emin quips. Death, loss and spectral figures permeate Emin’s latest show at White Cube Bermondsey, A Fortnight of Tears (until 7 April). Her mother, to whom Emin was very close, died in 2016, and a series of new paintings are dedicated to her. Grief comes in other forms too: being raped as a 13-year-old, a botched abortion that left Emin unable to have children, and splitting up with the love of her life. Emin says she has “a devout belief” in the afterlife. “I was brought up with it: seances and tarot card readings. Now I realise that it’s because my mum’s family were gypsies,” she says.